The Sacramento River is one of the great features of the Mount Shasta region. It is a scenic mountain river that races through deep canyons and rocky channels. The uppermost section of the river is often overshadowed by the lower section that is recognized as a great fishing stream and kayaking run, as well as for its waterfalls. I contend that the uppermost section offers fantastic recreational opportunities as well and is the most scenic (save for the Box Canyon, of course). In addition to the fun that can be had and the beauty that can be enjoyed, this part of the river presents an unusual opportunity to witness nature’s power to change the landscape. 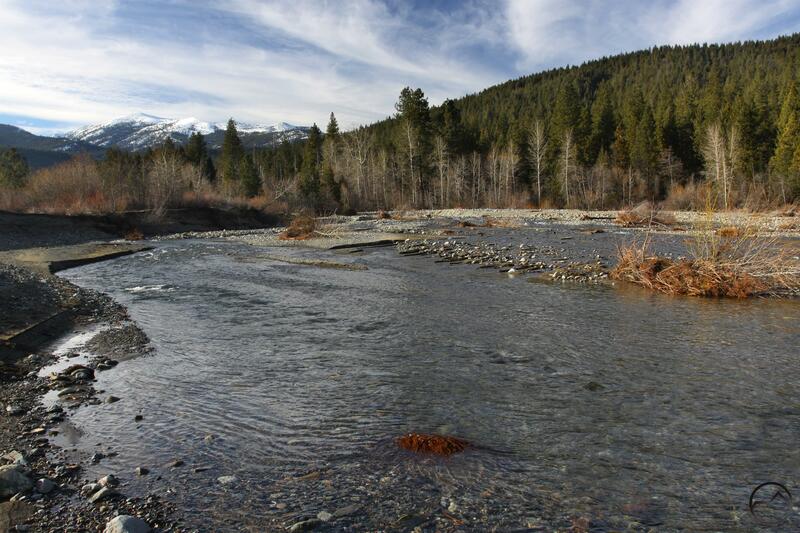 Ten months ago I reported on the Sacramento River’s efforts to change its course upstream from Lake Siskiyou (read the reports here and here). The changes were dramatic. Prior to the winter of 2015, the river had divided into two channels about 0.25 miles upstream from the inlet to the lake. 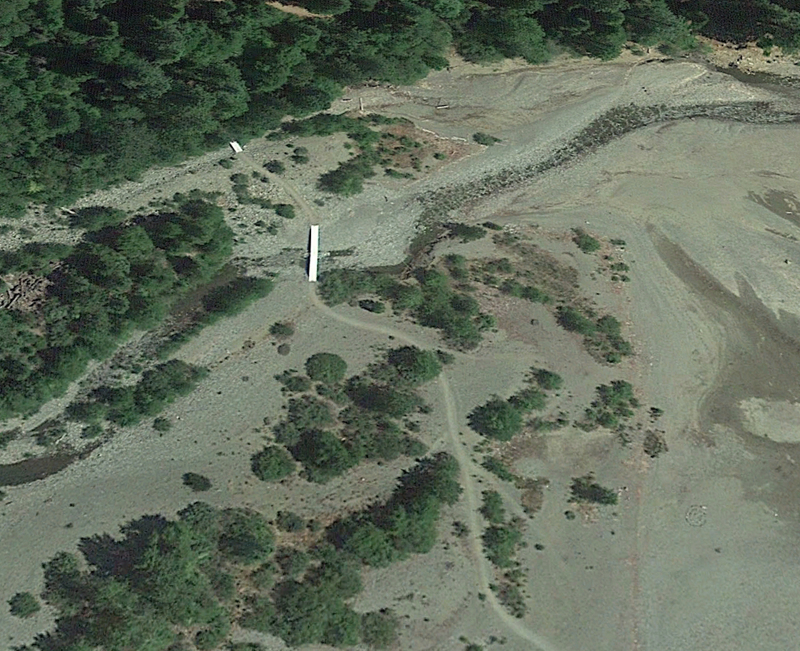 Consequently, the Lake Siskiyou Trail was required to bridge to small rivers rather than a single flow. Despite the drought, the river managed to gather enough fury during one of the seasons few hard rains to close off access to the southern channel and forcing all of the water into the northern channel. The trail engineers who designed the Lake Siskiyou Trail had anticipated this eventuality to some degree and had installed removable bridges on permanent foundations. This would allow the bridges to be pulled during the winter and spring so that no damage would be done. However, this year, since the river was so low, the bridges were left in place so hikers, runners and bikers could enjoy the trail during the unusually light winter. What they had not anticipated was the bottling up of one of the river’s channels and the concomitant increase of water in the other. Yet this is what happened and the northern bridge, as well as its foundations were lost as the river completely altered the landscape. Interestingly, the bridge on the now dry southern channel was left untouched and intact. Thankfully another bridge was acquired and when the water level dropped, the single flow of water was bridged and the Lake Siskiyou Trail was uninterrupted again. 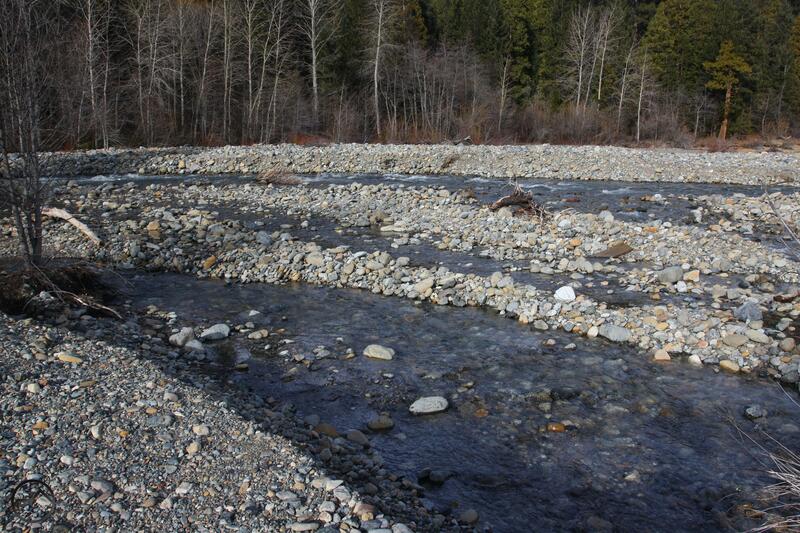 This winter has yielded a lot of precipitation and it should come as no surprise that the river has continued its work to modify the land around it. 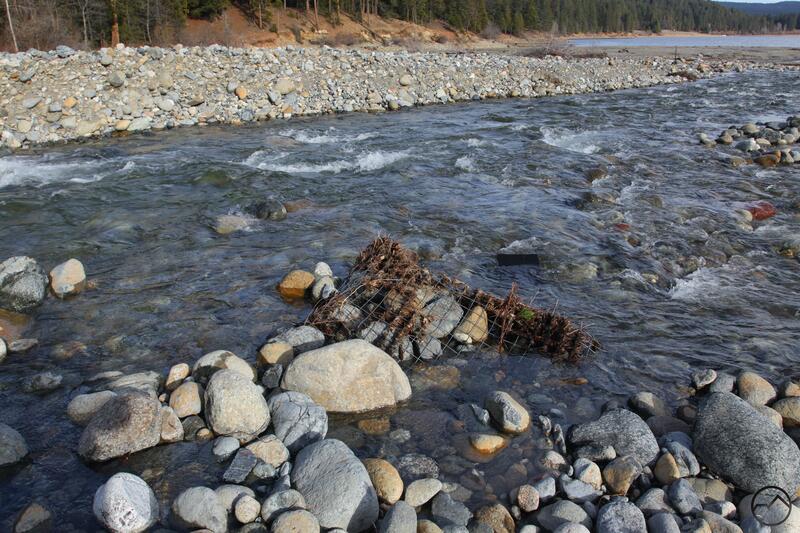 Like last year, the southern channel remains dry, closed off by rocks and debris 0.25 miles from the lake. Once again the river enters the lake only on the north side of its small flood plain. 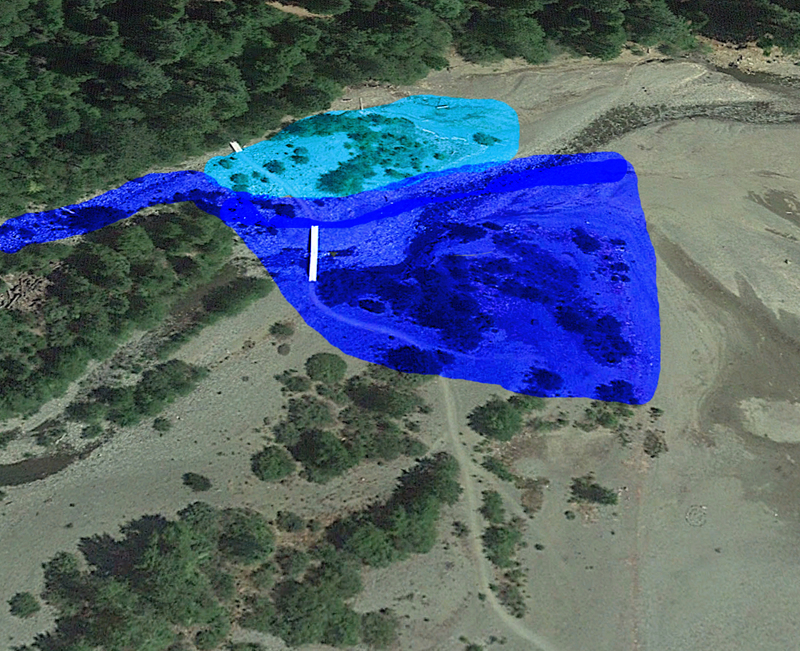 However, everything along that channel has changed along its final 150 yards to Lake Siskiyou’s high water mark. Where the river maintained a single, primary flow through this final short section last year, it no longer maintains that single course now. Once it passes a knot of large trees, it immediately fans out into four or five divisions that split apart and intermingle with each other. Despite the dispersal of water over a large area, some of these flows remain deep and are dangerous to cross. Others are easily jumped over or skipped across via large rocks. It seems that large quantities of river rocks have been deposited in some areas, especially along the northern fringe of the channel. Other areas have been scoured clean. The Sacramento River’s north channel in October 2014. The light blue is areas washed out in 2015. The dark blue are the areas washed out this winter. One interesting feature is the revealing of one of the old foundation pier of the temporary bridges across the Sacramento. The piers were constructed of thick metal cages filled with river rock. The cages gave them shape while the rock gave them support. This remains a great design and both blends into the surrounding landscape while doing the job of supporting the bridge. Last year, it seemed that these were wiped out along with the rest of the bridge. However, it now appears that they remained in place but were buried in large quantities of river rock. This year, as the torrent cleared the area of any loose material, the rocks on top of the piers were washed away and one of the old cages was made visible once again. While this is an excellent design, it seems unlikely that new ones will be built in the near future since the landscape continues to change on an annual basis. I would speculate that now that the river’s entire flow is being funneled through one channel that this process will continue for some time to come. Only when the malleable earth is scoured away will that area achieve some sort of equilibrium. Perhaps then new foundations can be installed. 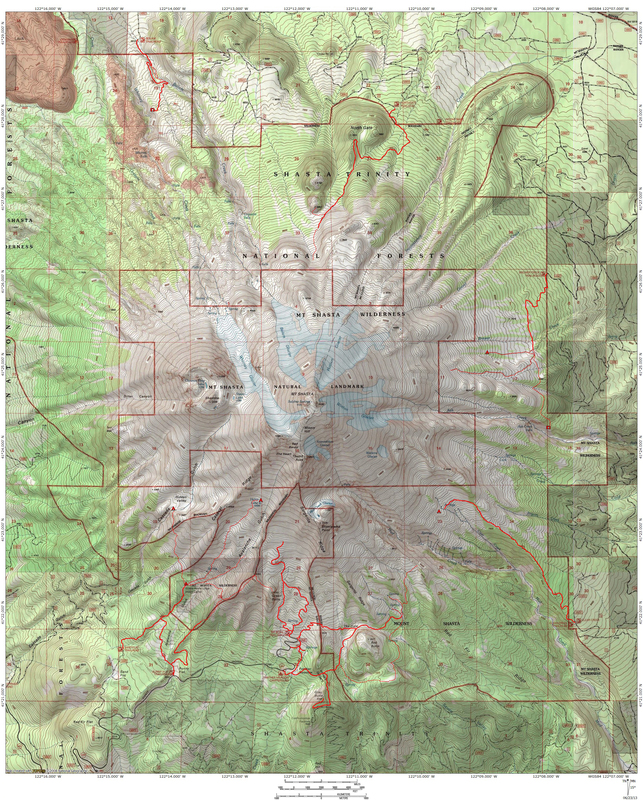 Until then, the Lake Siskiyou Trail will have a little different look each year. Bubba, thanks for the timely and detailed update on the impacts of the Sacramento River on the Lake Siskiyou Trail. FYI, those wire baskets full of rocks are known as gabions (from the Italian word for “big cage). Thanks for cluing me into the proper term. I always like to know what something is called. If the MSTA has plans to build/rebuild the trail, I would love to help out!